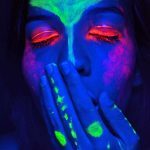 O trabalho do fotógrafo Davi Marcos foi produzido com efeitos de luz negra, no qual ele retrata modelos com acessórios fluorescentes e pinturas de influência tribal. 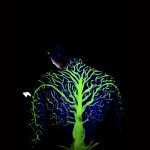 A série denominada Luz Ancestral foi iniciada em 2013, quando o artista trouxe imagens de suas lembranças nos primeiros bailes funk que frequentou com 12 anos de idade, onde o efeito da luz negra sobre os corpos o impressionou profundamente. 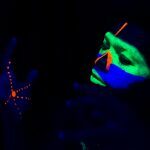 Morador da comunidade da Maré, ele já participou de várias exposições coletivas em centros culturais, instituições de artes visuais e galerias, mas esta foi a sua primeira individual. 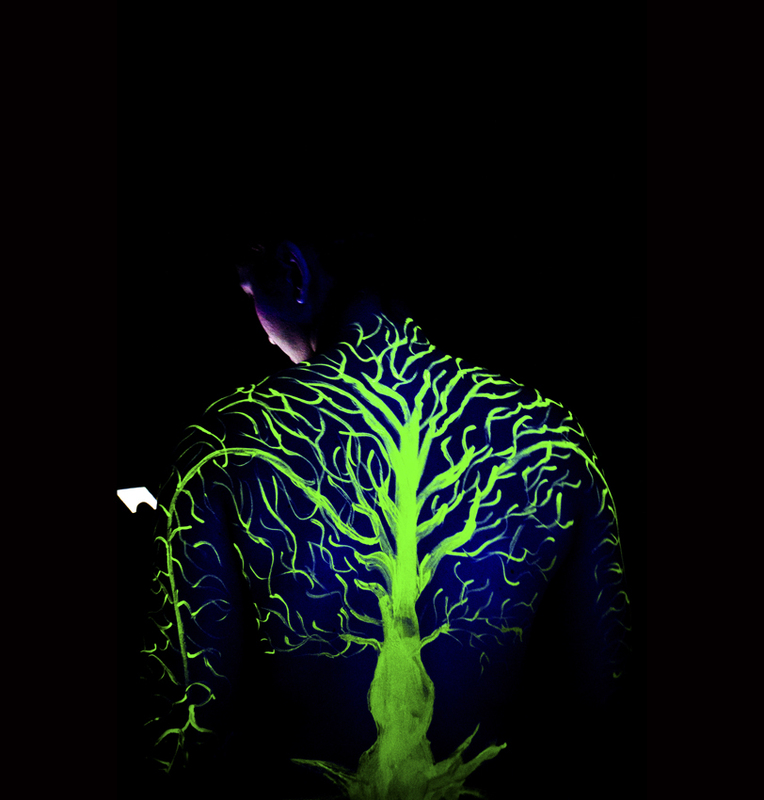 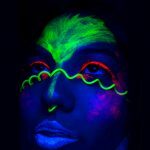 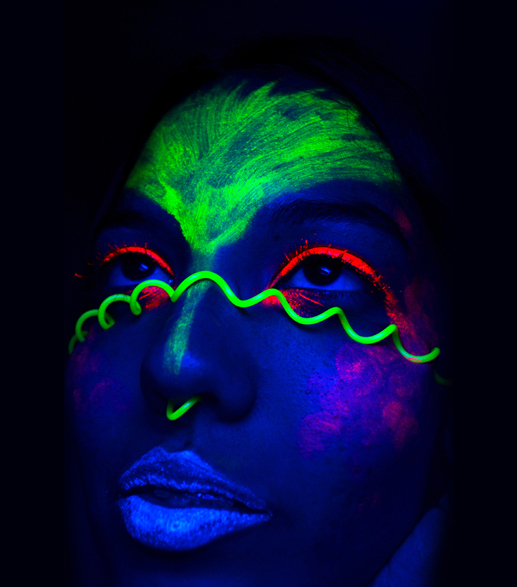 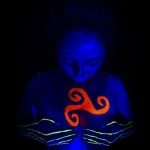 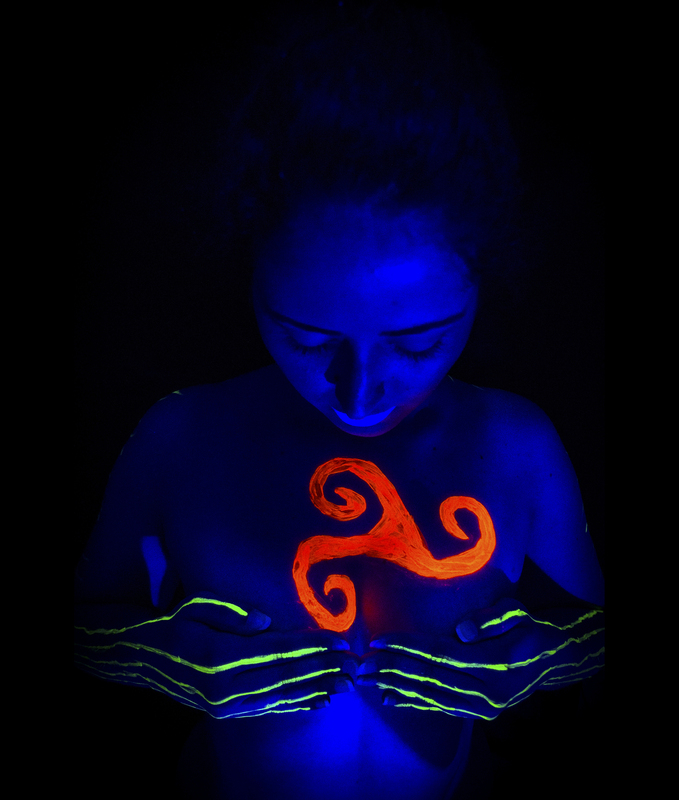 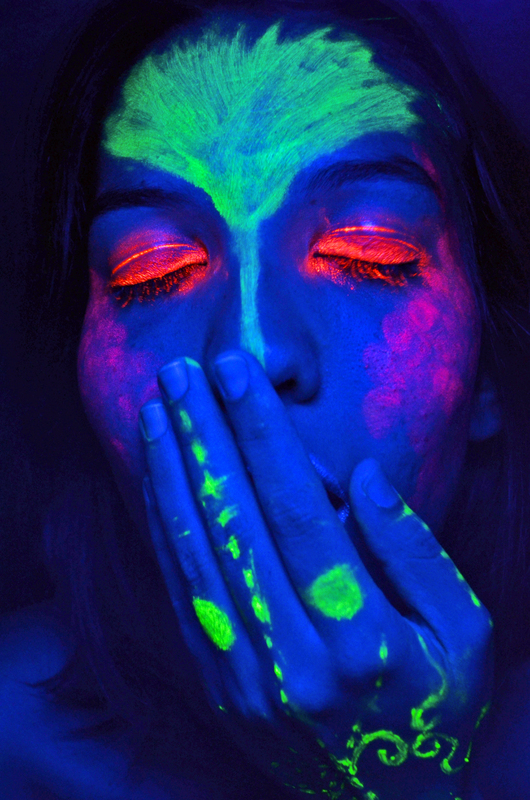 The work of photographer David Marcos was produced with effects of black light, in which he portrays models with fluorescent accessories and paintings of tribal influence. 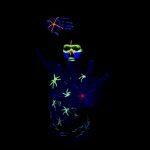 The series called ‘Luz Ancestral’ (Ancestral Light) was started in 2013, when the artist brought images of his memories of the first funk balls he attended at the age of 12, where the effect of black light on the bodies impressed him deeply. 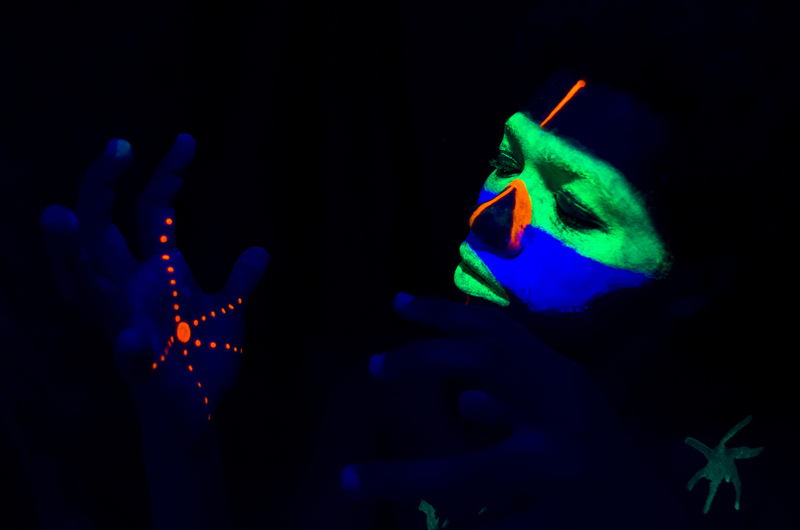 Resident of the Maré community, he has participated in several collective exhibitions at cultural centers, visual arts institutions and galleries, but this was his first individual one.